The Philly outpost of New York City's acclaimed Shake Shack is set to open at the corner of 20th & Sansom on June 6. 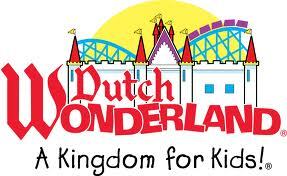 The burger stand will have a gluten-free menu featuring bunless burgers and hot dogs, fries and frozen custard. Thanks to reader Emily D., one of the managers there, for sharing more details on the Gluten Free Philly Facebook page. She wrote that the fries will be prepared in a dedicated fryer that is not connected to the same oil line as other fryers. Staff will also use a separate shake spinner and designated tins (black for malted, red for peanut butter) for shakes with allergens. Special custard flavors with cake batter (Boston cream pie, for instance) will dispense from a separate machine and designated scoopers will be used. 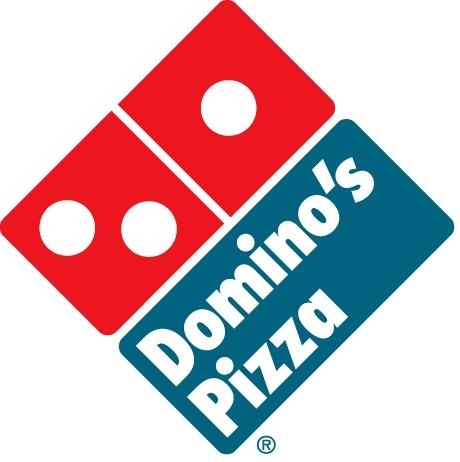 The staff will also change gloves and use a fresh bin for toppings such as lettuce and tomatoes when a ticket is rung through with an allergy modification; just inform the cashier of the gluten-free request. Reader Marcella P. recommends New American Honey in Doylestown (42 Shewell Ave., 215-489-4200), which has a gluten-free menu that changes seasonally. The kitchen and staff are accommodating of dietary requests. The Di Bruno Bros. market at the Comcast Center (1701 JFK Blvd., 215-531-5666) has an expanded selection of gluten-free snacks. You can find Tate's chocolate chip cookies, Cracklebred by Natural Nectar, Lentil & Veggie crisps by Mediterranean Snacks, Danielle Fruit Chips, and locally made Metropolitan Bakery granola and macaroons from Pure Sweets. 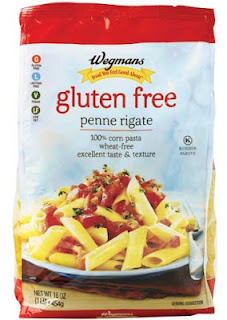 Last week I mentioned Wegmans' new gluten-free pasta and dessert mixes, which will be located in both the Nature’s Marketplace section of the stores and in regular aisles for pasta and baking. The baking mixes include a vanilla cake mix and chocolate cake mix (each mix makes one 8-inch round cake layer and sells for $3.49), a sugar cookie mix - which sells for $3.49 and makes 22 cookies - and a double chocolate brownie mix for $3.49 that makes one 8-inch square pan of brownies. Wegmans worked for nearly a year testing and tweaking the formulation for the four mixes before releasing them. In Tuesday's post, I wrote about the many amusement parks in this area (and a couple in Virginia) that have gluten-free concessions this season. Finally this week, I wanted to announce that I have self-published my first e-book. It's a dining guide to Delaware, including beach towns (the listings for which aren't on the blog) and New Castle County - that's Wilmington, Newark and environs. 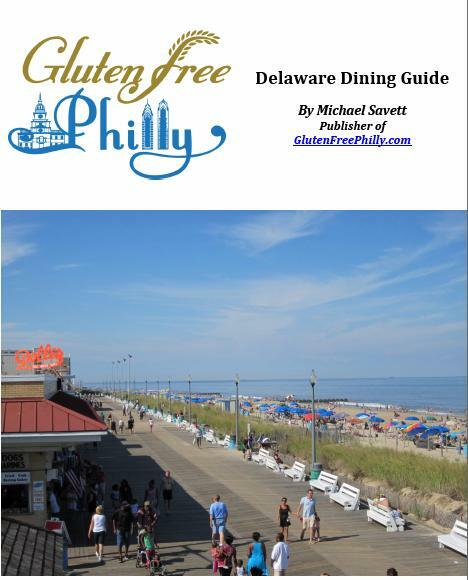 The book contains detailed listings for restaurants, stores and attractions with gluten-free options, and includes hyperlinks to the businesses' websites and gluten-free menus where available. You can buy the book (in PDF format) for just $2.99 via PayPal and you'll get an e-mail to download the link. It's readable in the iBooks app on Apple mobile devices and on most Android devices. Feel free to pass along comments and suggestions for future versions and other editions. Now you can get a gluten-free bagel and a schmear at Short Hills Restaurant & Deli in Cherry Hill (486 Evesham Rd., 856-429-6900). For now, the bagels, burger buns and sandwich bread are warmed in foil in an oven, but a new dedicated toaster is coming soon. The Good Karma Cafe location in Philadelphia's Society Hill neighborhood (10th and Pine, 267-519-8860) sources bread from Whole Foods for gluten-free sandwiches. 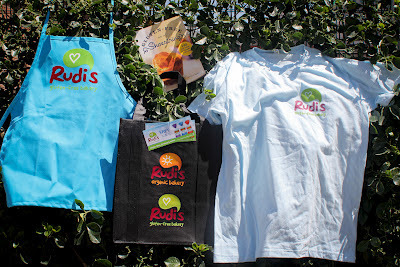 Thanks to reader Sherrie S. of Living Simply Gluten Free for the tip. Center City Philadelphia's new Brodo (31 S. 18th St., 215-977-7766) has a variety of gluten-free soups daily (with appropriate signage) and salads sans croutons. A new Firebirds Wood Fired Grill, which has a gluten-free menu, is now open in Collegeville (51 Town Center, 484-902-1850). Also newly opened is the Wegmans market in King of Prussia is now open (1 Village Drive, 484-690-3500). It was there that reader Bill L. spotted Wegman's new gluten-free dessert baking mixes. The supermarket chain also has introduced a line of gluten-free corn pastas - elbows, fusilli, spaghetti and penne - selling for $2.49 each. Shoppers can download a dollar-off coupon for the pasta from Wegmans' website. In addition to the news earlier this week that Domino's now has a gluten-free crust (which is not recommended for those with celiac disease and others due to cross-contamination), Chuck E. Cheese's is testing a bake-in-bag gluten-free pizza and a brownie at its Minnesota locations. Thomas Jefferson University Hospital's Celiac Center is conducting research that aims to better clarify men and women's experiences with fertility and pregnancy outcomes. The hope is that this study will clarify inconsistencies in the current literature, increase physician knowledge of this issue and gain awareness for the celiac community. Adults ages 18 and older are invited to take the survey, which closes on June 17, 2012. We are looking for fun, outgoing teams of all ages. If you love to cook, have a competitive spirit, and think you have a winning dish, email us at BeatTheChefs@rrstaff.com. Please include your name, age, contact info, photo, two proposed teammates (and their photos), a description of your culinary background and your signature dish! Put the city/state where you live in the subject line for priority. The Children's Celiac Support Group will meet on Sunday, May 20 from noon to 2 p.m. at the Bucks Specialty Care Center in Chalfont. (It's at 500 West Butler Avenue, but for GPS purposes it's 800 Manor Drive.) Children of all ages are welcome. RSVP by May 17, 2012 by emailing the CHOP Celiac Center or calling 215-590-2985. Center City Philadelphia is getting more gluten-free pizza. The new modern Italian restaurant Spiga (1305 Locust St., 267-273-1690), from the owners of GREAT-trained Le Castagne, will serve pizza and pasta for gluten-free guests. The chef intends to take precautions in preparing those items, but flour and glutenous ingredients are present in the kitchen. Reader Daria D. let me know that French BYOB Bibou in Philadelphia's Bella Vista neighborhood (1009 S. 8th St., 215-965-8290) can accommodate gluten-free requests. Note that the restaurant is cash only. Thanks to Lisa M., who shared the news that Trattoria Guiseppe in Edgmont (4799 West Chester Pike, 610-353-4871) has gluten-free penne pasta. 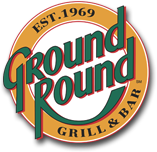 Readers my age or older who grew up in Philadelphia probably have fond memories of the Ground Round. Well, the chain is making a comeback. The first area location is in Langhorne (735 Middletown Blvd., 215-757-2323) at the site of a former Charlie Brown's Steakhouse near the Oxford Valley Mall. Gluten-free items are noted on the menus. Matt F. recommends two accommodating Center City restaurants with knowledgeable staffs. At French bistro Zinc (246 S. 11th St., 215-351-9901), most items are gluten free and others can be modified. The kitchen now stocks bread from Taffets (formerly Tote) and usually has at least one gluten-free dessert on the daily menu. The majority of menu items at The Farm and Fisherman (1120 Pine St., 267-287-1555) also are gluten free. The Fox's Pizza Den location in Kennett Square (347 Scarlett Rd., 610-444-6060) serves gluten-free pizza using Still Riding crusts. New Hope vegetarian Sprig & Vine (450 Union Square Dr., 215-693-1427) notes gluten-free and soy-free options on its lunch, dinner and Sunday brunch menus. Landmark Americana, which has a gluten-free menu, opened its newest location in Wayne (629 W. Lancaster Ave., 610-995-1001) on Wednesday. 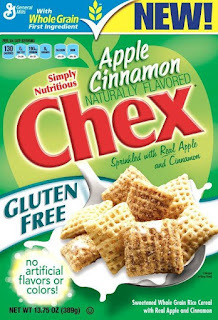 General Mills announced this week its newest cereal - Apple Cinnamon Chex. 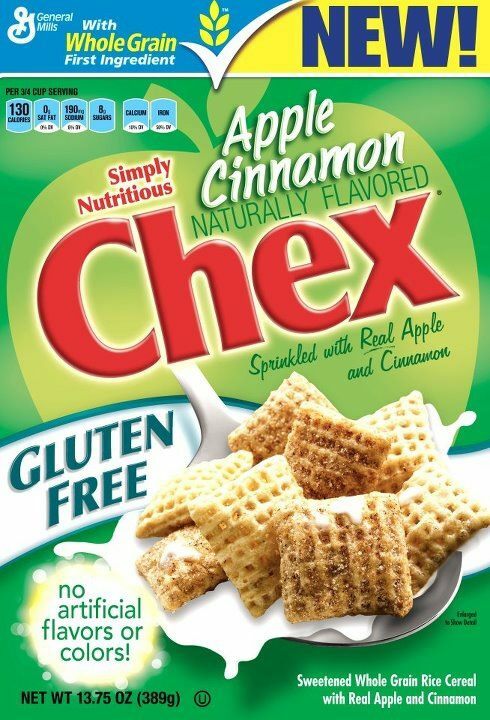 It's made with whole-grain rice with "real apple and cinnamon" and has no artificial flavors or colors. You can read about last Saturday's Celiac Awareness Tour stop in King of Prussia in my post from Tuesday. As a prelude to June's Philly Beer Week, Hawthorne's Cafe (738 S. 11th St., 215-627-3012) is hosting its third annual IPA Block Party tomorrow, which is Cinco de Mayo. Each drink ticket is $5 (the event is cash only) that can be redeemed at the keg of your choice. Gluten-free Crispin Cider will be available. There will be burgers, hots dogs, tacos, popcorn and nachos, but no word on which may be gluten free. World-renowned celiac expert Peter Green, M.D. will be speaking at Paoli Hospital on Wednesday, May 9 at 2 p.m. You can register to attend in person or via webinar.